Happy Shakespeare Day with Damian Lewis! Happy Shakespeare Day! We are celebrating the great man’s life and influence on English language today. If you wanna have your own personal Shakespeare party, I highly recommend you to download The Love Book App and have Damian Lewis read Sonnet 130: My Mistress’ Eyes are Nothing Like the Sun directly to your ears! Or if you want to party with us here then let’s travel back to a special Shakespeare party kicked off by a certain Damian Lewis! 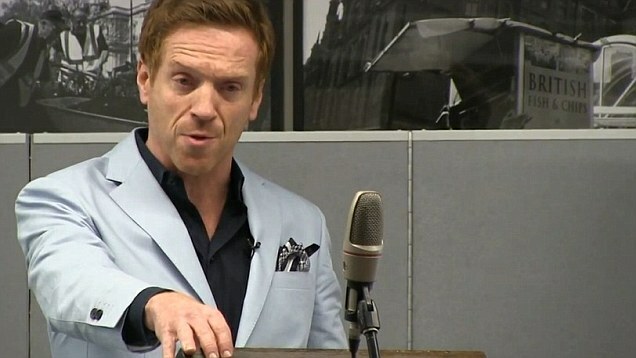 Author DamianistaPosted on April 23, 2019 April 22, 2019 Categories PoetryTags Damian Lewis, Poetry, Pop Culture, Shakespeare5 Comments on Happy Shakespeare Day with Damian Lewis!